The president is proof that a subhuman nonthinking white man can one day become the leader of the free world. Asparagus should feel inspired. Sure, it is nonverbal, and yes, it is merely a vegetable, but other than color, what’s the difference between asparagus and the president? Seriously, they both know about the same when it comes to governing. You’d think at this point that the president would understand that while he gets to appoint the attorney general, the appointee is not his personal lawyer and therefore can do whatever he or she wants. 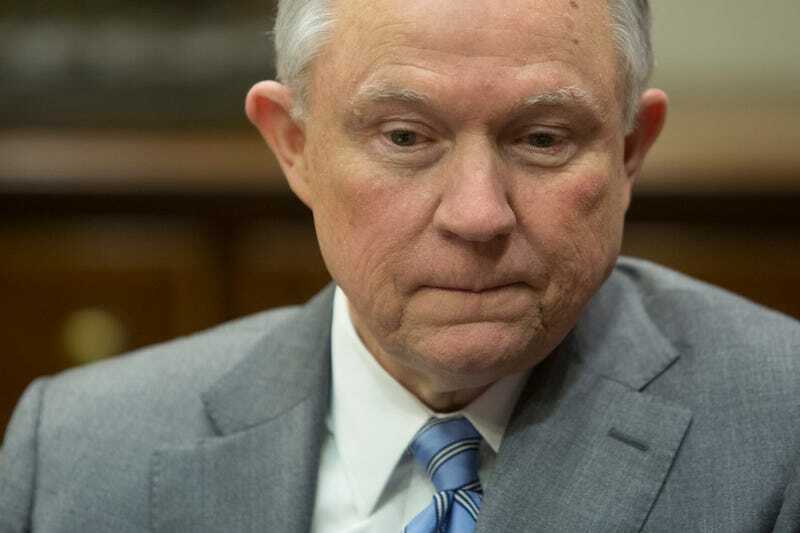 But that didn’t stop Donald Trump from blasting Jeff “King Keebler” Sessions’ decision-making because he loves undermining his own appointee. The funniest part of all this is that Trump slapped King Keebler down, when clearly this investigation was an attempt to appease the president. The president was reacting to news on Tuesday that Big Keebler, the Justice Department’s inspector general, will investigate allegations that the FBI and DOJ bypassed the law in efforts to obtain Foreign Intelligence Surveillance Act warrants. That somehow the Obama administration didn’t go through FISA when bugging folks. Trump has publicly pressed Sessions to open up an investigation into potential abuses of the program, which allows U.S. law enforcement and intelligence agencies to obtain secret surveillance orders on individuals in the U.S. suspected of being foreign terrorists or spies. The president claimed last year that the Obama administration improperly wiretapped members of his presidential campaign and transition team, though the White House has not provided any evidence to support that claim. Allegations of FISA abuses surfaced again last month, when Republicans on the House Intelligence Committee released a controversial memo alleging that FBI and Justice Department officials misused their authority to obtain a surveillance order on Carter Page, a former Trump campaign adviser. So King Keebler Klaus—or KKK, for short—finally said, “Fine. ‘I’ll fake-look into it.” Basically, he was throwing the president a bone, and even that pissed off the president because nothing is good enough for this man. In fact, what the president wanted KKK to do is open the biggest investigation of all the investigations in an attempt to throw everyone off the scent of the piroshki baking in the White House oven.